One of the UK’s leading manufacturing collectives has hailed the power of industry and academia working closer together. 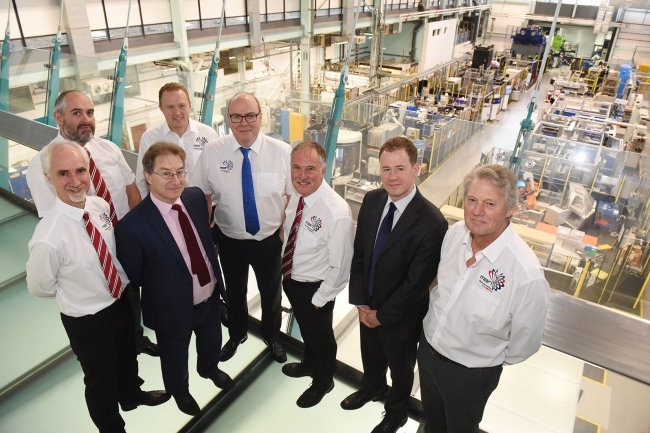 The Manufacturing Assembly Network (MAN), which features 8 sub-contract specialists and an engineering design agency, has worked with WMG, at the University of Warwick, to complete more than 10 projects, resulting in excess of £2m of new orders. Chairman Tony Hague believes the ability to tap into the knowledge of leading professors and to put its staff through the latest development courses has been crucial to the group improving operational performance and bridging the skills gap. He also pointed out that MAN member companies have accessed technology and equipment at WMG that they simply wouldn’t be able to afford to install in their own facilities and this has led to the introduction of new products, including a solderless connector and an earphone tidy. “Universities and manufacturers aren’t always the easiest bedfellows and this means we usually miss out on some fantastic expertise and knowledge,” explained Tony, who is also MD of PP Control & Automation. He continued: “They get what manufacturers need and have introduced us to some fantastic specialists in innovation, electrification and composite materials, not to mention the added advantage of being able to use equipment at its state-of-the-art International Institute for Product and Service Innovation, Energy Innovation Centre and Additive Layer Manufacturing facilities. Established in 2006, MAN’s nine members employ over 750 people, generate more than £70m in sales and can offer every engineering discipline imaginable, including automation and control systems, casting, CNC machining, design and simulation, fabrication, forging, plastic injection moulding, PCB development and high volume pressings. It currently exports to 40 different countries and, on average, invests £5m every year on training, infrastructure, factory extensions, new technology and R&D. Tony continued: “There’s been a real mix of projects undertaken with WMG. Brandauer has had two internships, KimberMills International is currently investigating new materials for use in forging and Alucast has benefitted from external expertise in lightweighting. In helping address the notable skills challenges facing small businesses, Alucast, Brandauer, PP Control & Automation and SMT Developments have all engaged with WMG’s Innovation Business Leadership course. The leadership programme – consisting of five separate, three-day modules spread over the course of the year – has helped provide individuals with key insights into themes, such as strategic innovation, operational effectiveness and financial and commercial awareness. Enrolment for this year’s programme is due to take place in November, with the modules commencing in January 2018. Dr Mark Swift, Head of SME Programmes at WMG, was instrumental in instigating the relationship. “In just a few years, most enterprises and especially SMEs will be part of some form of collaborative network to help them remain competitive and move up the value chain. MAN is made up of Alucast, Barkley Plastics, Brandauer, Grove Design, KimberMills International, Mec Com, Muller Holdings, PP Control & Automation and SMT Developments.